Are you curious about cloth diapers? They have come a long way from the diaper pinning days of yore. 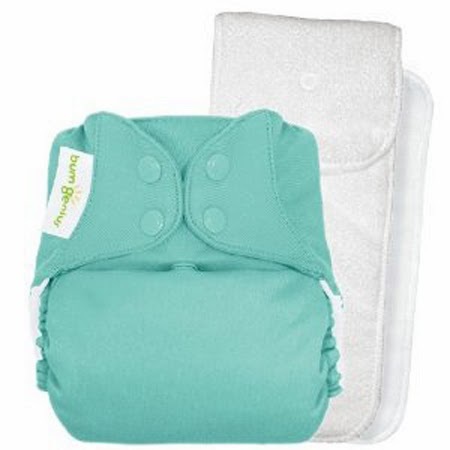 Today’s parents who are looking for an environmental and economical alternative to disposables can find a wide range of cloth diaper styles and accessories that make using cloth as simple and convenient as disposables. Researching cloth diaper options is often the most daunting part of choosing cloth. Most retailers carry several brands and styles of diapers, and there is a vast amount of information online and in books. There is a lot of information out there to sift through so here is a simple introduction to cloth diapers to help you get started. Pockets or Prefolds? What do these terms describe? And what are they made out of? Cloth diapers are made from either natural fibers like cotton, hemp and bamboo or manmade polyester fiber. Each fiber has its own benefits. Cotton is the tradition fiber of cloth diapering and is favoured because it is strong, absorbent and easy to clean. Hemp and bamboo fibers are popular because they are even more absorbent than cotton and are very sustainable to grow and refine into cloth. The polyesters found in the form of micro fleece and microfiber can be useful because they are engineered to wick moisture away from the skin and into the core of the diaper. Polyesters are used most frequently in pocket and all-in-one styles of diapers and in some of the liners, doublers and inserts that you can use with cloth diapers. 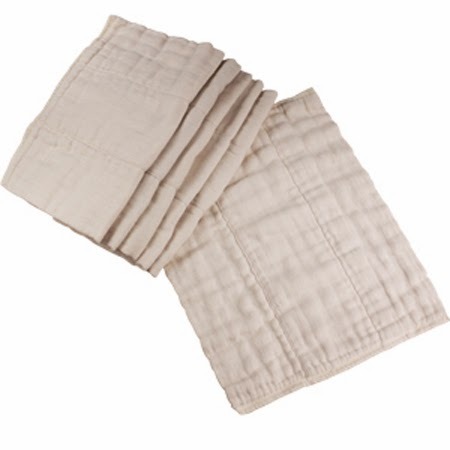 Prefolds - These rectangular diapers are made up of several layers of absorbent cotton sewn into three panels. You create the fit if these diapers by folding them around your baby and securing them with a closure such as a Snappi. They are always used with a waterproof diaper cover. 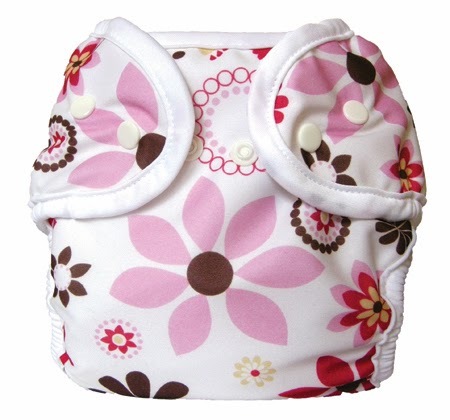 Prefolds are favoured because they are very inexpensive, they fit any baby and they are quick and easy to wash and dry. Fitted Cloth Diapers – Fitted cloth diapers are shaped in a contour that fits comfortably between the baby’s legs. 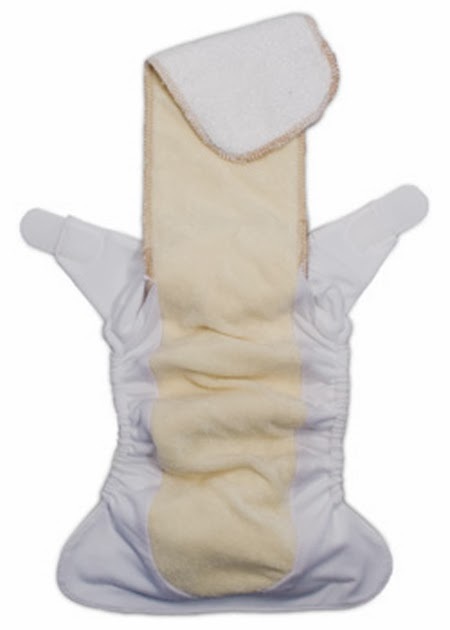 They have elasticized leg holes and Velcro or snap closures to hold the diaper close to the skin. They are more convenient than prefolds but less expensive than pocket or all-in-one diapers. They are available in a variety of fibers from organic cotton to hemp and bamboo. Like prefolds, these diapers are paired with a waterproof diaper cover. 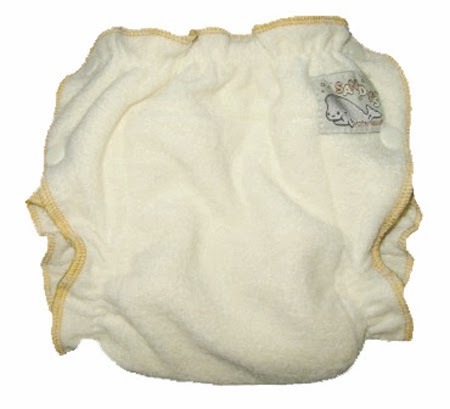 Pocket Diapers – A waterproof outer layer is stitched to a moisture-wicking polyester fleece layer. Between these two layers is a pocket into which one adds inserts. These diapers are popular because they feel dry next to the skin and extra inserts can be added when more absorbency is needed, like at nighttime or when traveling. All-in-One Diapers (AIO) – These diapers resemble disposables in terms of ease of use. A waterproof outer layer is stitched to an absorbent inner layer. No stuffing or extra layers are required. 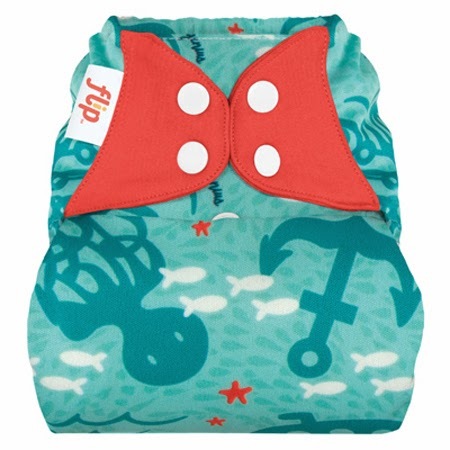 They are convenient and always a great addition to any cloth diaper stash but they do tend to be more expensive to purchase than other styles of cloth. All-in-Two – All-two-systems have a waterproof outer layer and an absorbent insert or pad that goes directly against the baby’s skin. When you change the diaper you simply replace the wet insert for a clean, dry insert rather than changing the whole diaper. These diapers are versatile and cost effective and blend well with both fitted diapers and prefolds. What do you need to get started with cloth? You will want to create your stash of diapers based on the idea of having 1-2 day’s worth of diapers. For newborn babies, you’ll need 12-15 diapers a day but you don’t need to have one type of diaper. Many parents will try a selection of diapers at the beginning to determine which kind they like and which brands have a fit that suits their baby. Up to 15 diapers, you will need to launder each day. With a stash of 24 or 36 diapers you will be able to launder every second or third day, so 2 or 3 loads of diapers to wash each week. You will also need 24 cloth wipes. 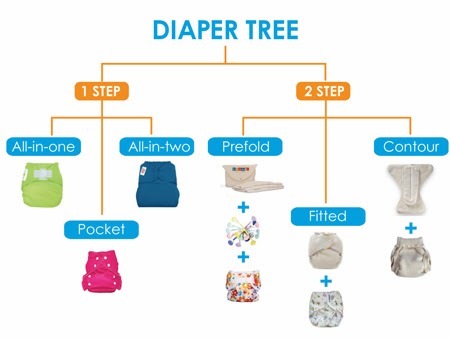 You will need a diaper pail, two diaper pail liners and a wet bag for cloth diapering on-the-go. Wet bags are waterproof sacks that you can use to bring home your soiled diapers. They are also useful for mucky clothing and wet bathing suits. You may find it useful to add doublers to your stash. You can lay doublers into any of your diapers to add extra absorbency when you need it such as nighttime, travel or for heavy wetters. Once your baby is eating solid foods, flushable cloth diaper liners are great for getting waste off your diapers and into the toilet. Or you can attach a cloth diaper sprayer to your toilet for extra convenience. Take care to choose a laundry detergent that is suitable for your cloth diapers. 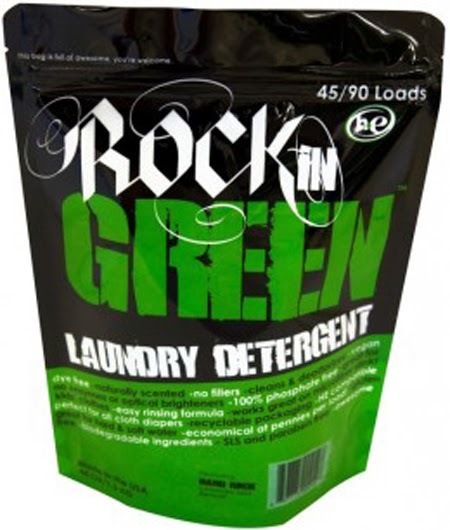 You’ll need a detergent that will clean out the waste without depositing any chemicals into the fibers of your diapers. Avoid chlorine bleach or detergents containing bleach or bleach alternatives, dyes, fragrances, fabric softeners, stain guards, optical brighteners, borax or soaps. Choose a detergent designed for use with cloth diapers or one recommended by a cloth diaper manufacturer or retailer. Once you have your stash, you’ll want to know how to take proper care of them to maximize the lifespan of your diapers, to avoid stains and odour issues and to be sure a sanitized diaper is going onto your baby’s skin. There is no need for a wet pail to soak diapers. Use a simple style of diaper pail with a lid and line it with a waterproof diaper pail liner to keep it clean. 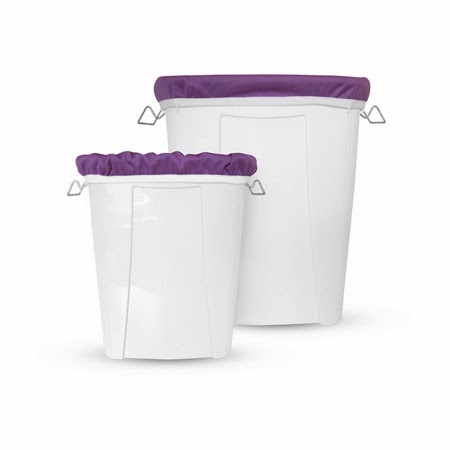 Your diaper pail liner also serves as a laundry bag to transport your diaper load to your washing machine. It is best not to let your diapers sit for more than two days in the diaper pail. The longer they sit, the harder it is to get the smells and stains out. Two days is a good number to set as your schedule. If you are breastfeeding exclusively, you do not need to remove the solid waste from your diapers. Breastfeeding solids are water-soluble and will rinse out in the washing machine so simply toss them into your diaper pail. If you are supplementing with formula or have introduced solid foods into your baby’s diet, you will need to get the solids off your diaper by using a flushable diaper liner, by shaking off the solids into your toilet, or by using a diaper sprayer. A basic washing routine will work for most cloth diaper systems. Prior to washing, secure any Velcro closures to prevent the Velcro from catching and pulling other fabrics as they agitate in your washing machine. Run a cold water prewash with no detergent to rinse away any solids and help stains from setting. Follow with a regular wash cycle with hot water and with a small amount of detergent. If you are using a top-loading machine, you will be using ½ the detergent you’d use for your regular laundry and for a front-loading HE machine it would be ¼ the detergent. The amount of detergent is important; although the diapers are soiled more detergent is not better. You need the detergent to clean the diapers and then rinse out completely. If the detergent doesn’t rinse out it can build up in the diapers and cause them to stink. A good tip is to finish you wash cycle with a cold water rinse to make sure the diapers are good and clean. To dry your diapers, use a dryer, hang them up to dry, or use a combination of both methods. Certain diaper systems may have manufacturer’s instructions for you to follow. Sunlight will naturally whiten stains and freshen your diapers so hang them out on the line whenever you get a sunny day. Cloth diapers are an investment and you can extend their lifespan through care. Hang drying and using the right detergent are a great starting point. Be careful not to use chlorine bleach or vinegar because they can break down the fibers in your diapers. Avoid anything that can cause build-up, such as fabric softener, detergents with fragrances, stain guards or optical brighteners and diaper creams. With care your diapers will smell clean and remain absorbent through the duration of their use. Parents are choosing cloth diapers for many reasons. Using cloth diapers can divert as many as 7,000 disposable diapers per child from our landfills--the equivalent of a tonne of waste per child, and what’s good for the planet also happens to be good for babies. Disposable diapers can contain a range of chemicals including perfumes, dyes, chlorine bleach and adhesives. Cloth diapers contain none of these and they have the added benefit of being incredibly cute! They come in a dazzling array of colours and patterns! Your baby will have the healthiest, cutest diapers around and you’ll have the benefits of more money in your pocket, less waste in your garbage and healthier materials next to your baby’s skin. At Hip Baby we offer CLOTH DIAPER WORKSHOPS to get you started. Please contact the store closest to you to find out the dates. Vancouver: info@hipbaby.com.